Zhuk, Andrii [Жук, Андрій; Žuk, Andrij] (pseuds: A. Andriienko, A. Ilchenko, A. Khrushch, A. Vovchansky), b 14 July 1880 in Vovchyk, Lubny county, Poltava gubernia, d 3 September 1968 in Vienna. Political and co-operative movement activist and journalist. He was active in the Revolutionary Ukrainian party (1901–5) and a key organizer of the Union of Ukrainian Railwaymen in Kharkiv. For his involvement he was imprisoned from December 1903 to July 1904. He was elected secretary-general of the Ukrainian Social Democratic Workers' party (USDRP) at its founding congress in December 1905 and he contributed to the party's organs Sotsiial-Demokrat, Vil’na Ukraïna (Saint Petersburg), Borot’ba, and Slovo (Kyiv). After being imprisoned again, from August 1906 to January 1907, he was released on bail, and he evaded his trial by escaping in October 1907 to Austrian-ruled Galicia. 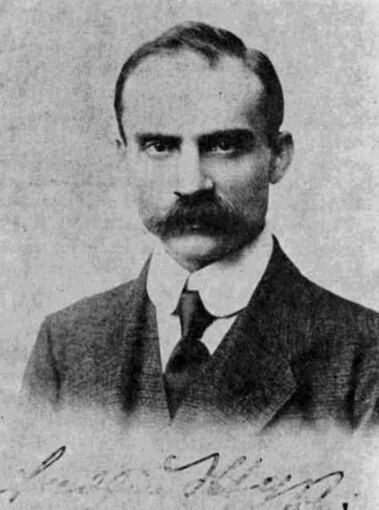 While living in Lviv Zhuk headed the USDRP Foreign Group until 1911 and edited the co-operative journal Ekonomist (1909–14) and its monthly supplement Samopomich. He was active in the Prosvita and Silskyi Hospodar societies and contributed to social democratic organs, such as Zemlia i volia and Pratsia (1909–10), and to the Ukrainian dailies Dilo in Lviv and Rada (Kyiv). In 1912 he initiated the creation of the Ukrainian Information Committee, dedicated to popularizing the Ukrainian cause in Europe, and was elected its secretary. That year he was expelled from the USDRP. From 1914 Zhuk lived in Vienna, where he cofounded the Union for the Liberation of Ukraine, directed its Central Bureau, and managed its publications and contacts with Galicia's Ukrainians. He also served as a member of the Supreme Ukrainian Council (1914–15), the General Ukrainian Council (1915–16), and the Central Administration of the Ukrainian Sich Riflemen (1917–22), and as a special commissioner of the Hetman government (1918) and director of the Vienna office of the Ministry of Foreign Affairs of the Ukrainian National Republic (1918–20). Zhuk was also a member of the executive of the Union of Ukrainian Journalists and Writers Abroad and vice-president of the Committee for the Defense of Western Ukrainian Lands (est 1922). From 1930, in Lviv, he was director of the Bureau of Co-operative Statistics of the Audit Union of Ukrainian Co-operatives, a member of the executive and the editor of the Khortytsia co-operative publishing house, secretary of the Society of Ukrainian Co-operators (1936–9), and editor of Kredytova kooperatsiia (1938–9), the organ of Tsentrobank in Galicia. After fleeing the Soviet occupation of Galicia in 1939, from 1940 he again lived in Vienna. Zhuk wrote many articles on ideological, political, economic, and co-operative topics, as well as firsthand accounts of the Ukrainian national movement before 1920. He also wrote brochures on Ukrainian co-operatives in Galicia (1913), the Ukrainian economic and co-operative press (1931), and Ukrainian co-operatives in Poland (1934) and edited a collection of reminiscences about Symon Petliura in his youth (1936). The Andrii Zhuk Collection of books and invaluable documents and archival materials amassed by him is preserved at the Public Archives of Canada; the National Library in Warsaw also holds a collection of Zhuk’s papers.